Daiske KINO-SHITA was born in 1977 in Kanazawa, Japan. He pursued his music studies at Senzoku Junior College, Toho Orchestra Academy, Hamburger Konservatorium (as an Absendungsstudent of the Ishikawa Prefecture), and Hochschule für Musik und Künste Bremen with Hiroshi Koizumi, Juergn Franz, Helen Bledsoe, and Harrie Starreveld. 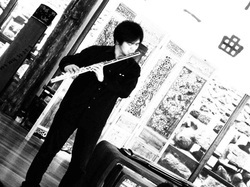 In addition, he also took private composition lessons with Kiyosi Matsumoto and Kouji Aoyama. Residency artist at Tokyo Wonder Site on 2012. Currently, he is the chairman of Asian Contemporary Music Society (ADOK), lecturer of Fukuyama Heisei University, and the member of Japan Finland Contemporary Music Society. Bass-baritone Chi Hoe Mak graduated with Distinction from Birmingham Conservatoire, UK. He holds a Fellowship in Voice from Trinity College of Music and is a laureate and prize winner of several national and international vocal competitions. Chi Hoe has toured and recorded with many ensembles around the world such as the Arton Ensemble, Adur Vocalensemble, Asian Youth Choir, World Youth Choir, World Chamber Choir, Festivalensemble Stuttgart ,International Youth Choir, Concerto Ensemble, Talinn Chamber Orchestra etc. A keen performer of contemporary new music, he has premiered many works and productions, most recently ‘Missa’ for solo baritone, percussion and live electronics by Colombian composer Carolina Noguera-Palau, the world premieres of Stockhausen's ‘Mittwoch aus Licht’ for the London 2012 Festival and Jonathan Dove’s ‘Life is A Dream’ for the award-winning Birmingham Opera Company. 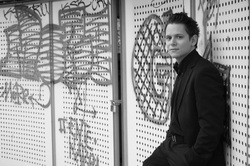 Max Riefer has studied at the Hochschule für Musik, Freiburg with Prof. Bernhard Wulff, Pascal Pons, and Taijiro Miyazaki (diploma with highest accolade). In 2007 he was on scholarship at Toho Orchestra Academy, Toyama, Japan studying with Prof. Imamura, Prof. Tsukada and Prof. Yasue. Further studies have included masterclasses with David Searcy, Franz Schindlbeck, Steven Schick and Aurel Nicolet. He has also worked in various projects with percussionists such as Bob Becker, Emmanuel Sejourné, Fritz Hauser, and Christian Dierstein. Max Riefer is an active chamber musician, playing old and new music in ensembles such as "Voyage en bloc" , "Est!Est!!Est!!! ", "Zeitkratzer", and the new music group "Les éclats du son" that he co-founded in 2002 with pianist Sebastian Voltz. 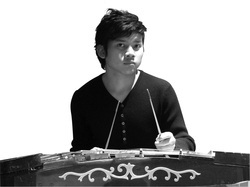 Since 2003, he has been member of the Freiburg percussion group. Max Riefer is currently teaching on the Percussion Faculty at Music University of Lugano, Switzerland/ CSI Lugano. Furthermore, he had worked as guest lecturer at universities as Toho Gakuen and Ueno Gakuen, both Toyko/Japan and the University of the Philippines in Manila. Dr. Nicholas Ong obtained a Doctorate in Piano Performance at the prestigious Juilliard School in New York. He won the first prize at the Yvonne Lefébure International Piano Competition in France, and has been praised in the New York Times for his “firm rubber-ball touch and bounce” as well as in the Figaro for his “astonishing virtuosity,” A versatile musician in classical, contemporary and electro-acoustic works – for contemporary music, he has performed with ensemble 2e2m, the New Juilliard Ensemble, and Mimesis Ensemble, and invited to perform at the CCRMA Soundstage at Stanford University, third practice festival in Richmond, Virginia, Focus! Festival in New York, the 2009 KL Contemporary Music Festival, Site-Things in Singapore, Dieter Mack Composer Portrait at Segi College, and also as Artist-in-residence at LaSalle College of the Arts, Singapore. He teaches at Nanyang Fine Arts, Singapore and also maintains a private studio in Kuala Lumpur. Ong May Yi graduated from the Beijing China Conservatory of Music, majoring in Ruan under the tutelage of Professor Wei Wei, and participated in Beijing Zao Shanghai Wind Ensemble concert, jointly organised by the China Conservatory of Music and Taiwan Fo Guang Shan Choir. She also participated in the "Sea Silk" Cultural Festival in Quanzhou, interacting and learning Nanyin from local folk artists. She was also awarded distinction in the in chamber music composition competition by the Ministry of Culture, while performing in numerous recordings by CCTV China. In 2013, she won accolades serving as the Ruan performer in the musical "Green Snake and Fa Hai", while being involved in organising the "Chinese Instrumental Concert". She is a teacher for Ruan and LiuQin in various institutions within the country. 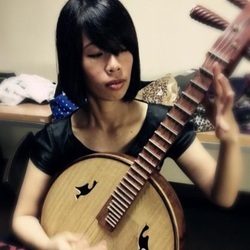 She is also a visiting performer with the ORKESTRA TRADISIONAL MALAYSIA (OTM) and a member of the Singapore Ruanxian Chamber Orchestra. Saori Nakazawa was born in 1986 and at age 4 began to study the violin. She studied at the Toho School of Music pre college, high school and the college under Akuri Suzuki and Akiko Tatsumi. She won prizes in the Student Music Concours of Japan, the Omagari Music Festival Competition, and the Japan-Austria Cultural Association's audition. 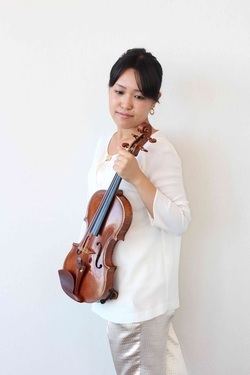 She has performed in Seiji Ozawa Music Academy Orchestra as a concertmaster. And she peformed with Orchestre de Paris concertmaster Roland Daugareil in Bordeaux Musiques Festiv' in Yokohama. Saori is also actively performing in projects and premiering new music by contemporary composers such as Sylvano Bussotti, Younghi Pagh-Paan, Regis Campo, Atsuhiko Gondai, Joji Yuasa, Toshi Ichiyanagi. Her string quartet performed in Japan Society for Contemporary Music 80th anniversary concert. She had participated in Biarritz International Music Academy, Saito Kinen festival, and International Ensemble Modern Academy. Member of Japan Finland Contemporary Music society. Tokyo wonder site artist in residence 2013. Chee Sze Yau learned Yangqin since 13 years old. He was student conductor of high school’s chinese orchestra when he studied in Jit Sin Independent High School. He furthered his studies at National Chengchi University of Taiwan, he also became conductor of the University’s Chinese Orchestra. After graduated, he was elected into Taiwan University of Art, Master of Chinese Music. He was the first foreign student of the department. 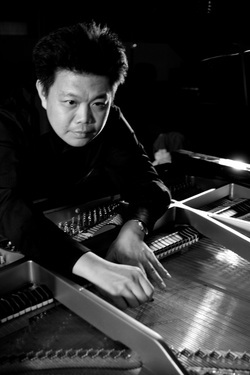 In the years of 2001, 2002 and 2003, Chee Sze Yau was awarded the champion of Penang Chinese Music Solo Competition. In year 2006, he was awarded the champion again by take part Plucking Instrument Competition of Taiwan. Born In Malaysia, Chong Keat Aun is a cross cultural performing artist, radio programmer, deejay, film critic, community art project founder, collaborated on series of art projects nationally and internationally since 2000s. On 9th February 2011, his cross art-cultural radio program won the “Seri Angkasa National Award”, Best Male Radio DJ and became the first Chinese broadcaster to obtain this honor in the Malaysian history. Chong was invited as a film jury for the 29th International Farj Film Festival in Iran 2011. 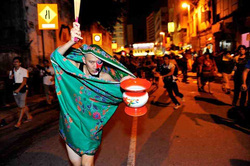 Yearly, Perform his classic accent art pieces in the series of “Not That Balai Art Festival” and “Bangun Community Art Project” at Penang , Melaka and Kuala Lumpur since 2005. The most fascinating cultural journey of Chong began in 2007 with his passion for Malaysian Chinese Accents. He became the director and initiated the project of collating Chinese Accent, focusing on the seven main spoken native tongue, Chinese opera and Folk music that are slowing being eroded in our land. By restoring and reviving the heritage of dialect, Chong recently was nominated for “Ten Outstanding Young Malaysia Awards 2011” in cultural achievement category. Besides having a strong passion, skill and touch in photography, Joie has been a contemporary dancer since early 90s. He was trained in contemporary dance and ballet by Choo Tee Kuang and Loke Soh Kim, developed his movements into choreography and exercises his sensitivity in stage lighting into lighting design, and working closely with Aida Redza and Joyce S Lim in promoting contemporary dance in Penang. To name a few of Joie's lighting design works: A Night of Theatre by Pricilla Ballet & Planet Dance Australia, Pro Musica Gala Concert of George Town Festival 2012, Rasa Sayang by Tony Yap Company Australia and River Meets Light, Bridges & Kaki Lima during George Town Festival 2012 & 2013. He is now a professional photographer in editorial and magazine cover page photography, particularly specialized in conceptual photography, who at the same time heavily involving himself in performing arts aspiring "to dance with light". Born in Iran, Mohammadreza Shams had his early education in Iran and is currently pursuing his Masters study in Film (Master of Art), under Faculty of Art and Social Science, University of Malaya (UM), Kuala Lumpur, Malaysia Mohammadreza’s field of expertise including documentary making, film critique and directing. As an active filmmaker (director, writer and producer), he has directed many personal film projects such as Endangered (short film), Even caged ducks can fly (short film), Uneaten Comment and etc. 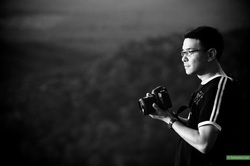 Recently, he was rewarded the Best director Award in 2nd Malaysian creative visual awards 2012 and Best experimental short film Award in 2nd Malaysian creative visual awards 2012. Nelson Wong, worked as a wedding photographer, self-described himself as an introverted with cold hand, warm heart personality. 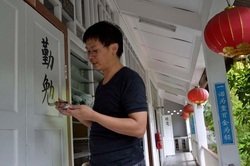 Pang Heng Khan is one of the most famous Chinese calligraphy artists, seal-cutters and ink-painters in Malaysia. He graduated with a Diploma in Fine Arts from the Malaysia Institute of Art, majoring in ink painting. He has worked as a lecturer in the Malaysia Institute of Art, teaching Chinese calligraphy, seal-cutting and ink-painting between 1993 to 1999. Currently, Pang is actively teaching calligraphy in his hometown and has organized calligraphy exhibitions and presentations in Malaysia, Singapore, China and Korea. Sigrid majored graphic design and fine arts at the 'St Lukas' University of Art, Brussels. 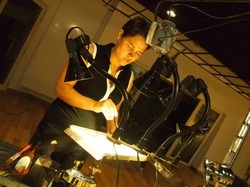 She has experienced 15 years on multidisciplinary collaboration between all kinds of life-visuals with sound and movement. Her performances has been shown in museums, art foundations and festivals such as: museum M Leuven (Belgium), museum d'Hondt-Daenens Deurle (Belgium), ÖRT Wuppertal (Germany), 'Lichtsicht' festival Bad Rothenfelde (Germany), Media waves festival Györ (Tsj), “Factories of Imagination” Kostroma (Russia) and etc with different musicians, dancers and composers such as Arne Deforce (Cello, Belgium), Peter Jacquemyn (bass, Belgium), Wu Wei (sheng, China), Xu Feng Xia (guzheng, China), Kee Yong Chong (composer, Malaysia) and others.